Our staff is more than happy to answer any questions that you have regarding window tint for your office, home or vehicle. 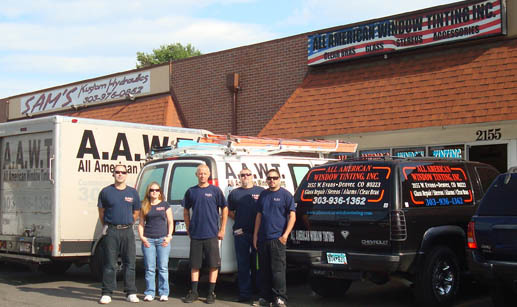 At All American Window Tinting, Inc., we will be sure to meet all of your expectations and perform our required duties to the fullest extent. So please call us today and get a quality job done right the first time! Typical hours of operation. Call ahead to set up an appointment. If you feel that you have the skill and knowledge to work with us, feel free to fill out an employment application here: Job Application We are always excited to bring talented individuals to our team!